CM: Jean Jacques Rousseau (Geneva, 28 June 1712 - Ermenonville, 2 July 1778) was a major philosopher, writer, and composer of the eighteenth century Enlightenment, whose political philosophy influenced the French Revolution and the development of modern political and educational thought. His novel, Emile: or, On Education, which he considered his most important work, is a seminal treatise on the education of the whole person for citizenship. His sentimental novel, Julie, ou la nouvelle Héloïse, was of great importance to the development of pre-Romanticism and romanticism in fiction [ see also Robert Darnton, The Great Cat Massacre, chapter 6: "Readers Respond to Rousseau: The Fabrication of Romantic Sensitivity" for some interesting examples of contemporary reactions to this novel ]. Rousseau's autobiographical writings: his Confessions, which initiated the modern autobiography, and his Reveries of a Solitary Walker (along with the works of Lessing and Goethe in Germany, and Richardson and Sterne in England), were among the pre-eminent examples of the late eighteenth century movement known as the "Age of Sensibility", featuring an increasing focus on subjectivity and introspection that has characterized the modern age. 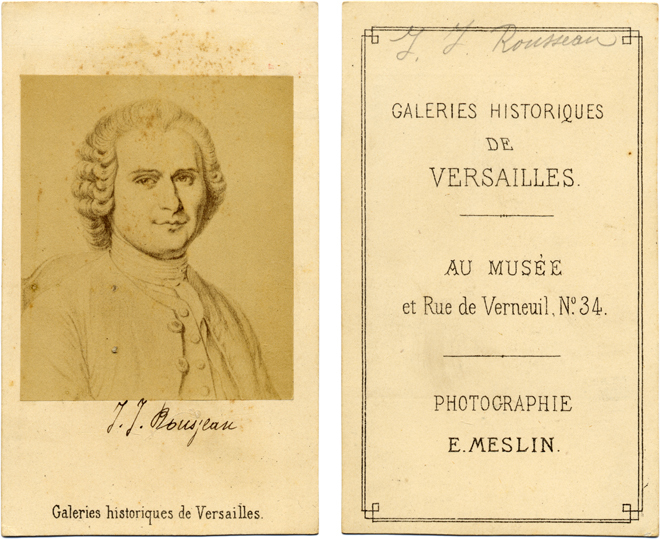 Rousseau also wrote a play and two operas, and made important contributions to music as a theorist. During the period of the French Revolution, Rousseau was the most popular of the philosophes among members of the Jacobin Club. He was interred as a national hero in the Panthéon in Paris, in 1794, sixteen years after his death.